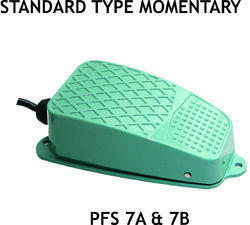 We are a unique name in the market to provide our honorable customers an exclusive range of Foot Switch PFS 2A. Plastic housing with 2 core 2 meter wire & 1NO+1NC switch for long lasting operations. Alum.cast Top & Pedal Duly Powder coated & 15 AMP, 250 VAC, 1NO+1NC switch. Alum.cast Top & Pedal Duly Powder coated & 15 AMP, 250 VAC, 1NO+1NC switch. With market knowledge, we have been able to provide optimum quality. Alum.cast Top & Pedal Duly Powder coated & 15 AMP, 250 VAC, 1NO+1NC switch. With market knowledge, we have been able to provide optimum quality. 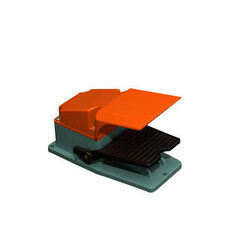 As a quality focused firm, we are engaged in offering a high-quality range of foot switches. 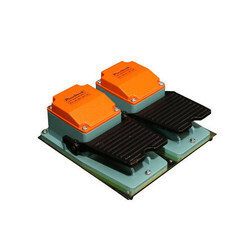 Owing to the efforts of our dedicated team of professionals, we have been constantly engaged in offering the best quality Foot Switch PFS 17. 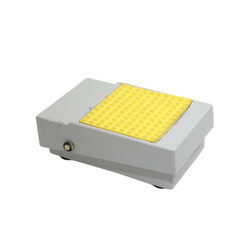 We offer Best Quality Foot Switch PFS 16 at par with International Standard. 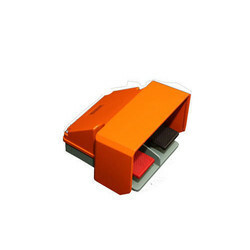 We are a well-renowned organization in the industry to provide our patrons the best quality array of Foot Switch PFS 4A. 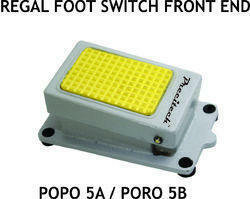 Being a leading enterprise of this industry, we are offering a huge range of Foot Switch PFS 15A. Alum.cast body, with protective guard, efficient for long periods. 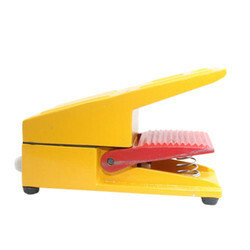 For small machinery it is very useful. 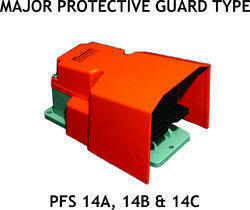 Alum.Cast body duly powder coated switches with anti skid rubber on top, 1NO+1NC, for rigid use. With the assistance of our dedicated team of professionals, we are providing a premium quality range of Foot Switch PFS 13A. 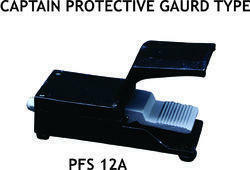 Alum.cast Top & Pedal Duly Powder coated & 15 AMP, 250 VAC, 2NO+2NC switch. Alum.cast Top & Pedal Duly Powder coated & 6 AMP, 250 VAC, 1NO+1NC switch. With market knowledge, we have been able to provide optimum quality. Alum Cast Body Duly Powder Coated, 10 A, 250 VAC, 1NO+1NC switch for better performance. Alum Cast Body Duly Powder Coated, 15 A, 250 VAC, 1NO+1NC switch for better performance. 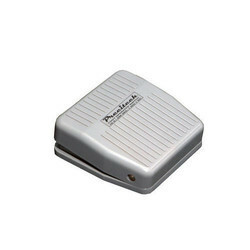 Being one of the trusted organizations in the market, we are engaged in providing a wide range of Foot Switch PFS 3A. 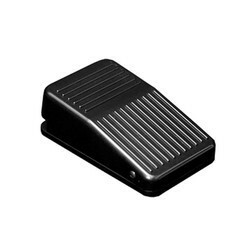 We are offering Foot Switch PFS 1A to our client. Plastic Body with 2 core 2 meter wire & 1NO+1NC Switch, for rigid use.